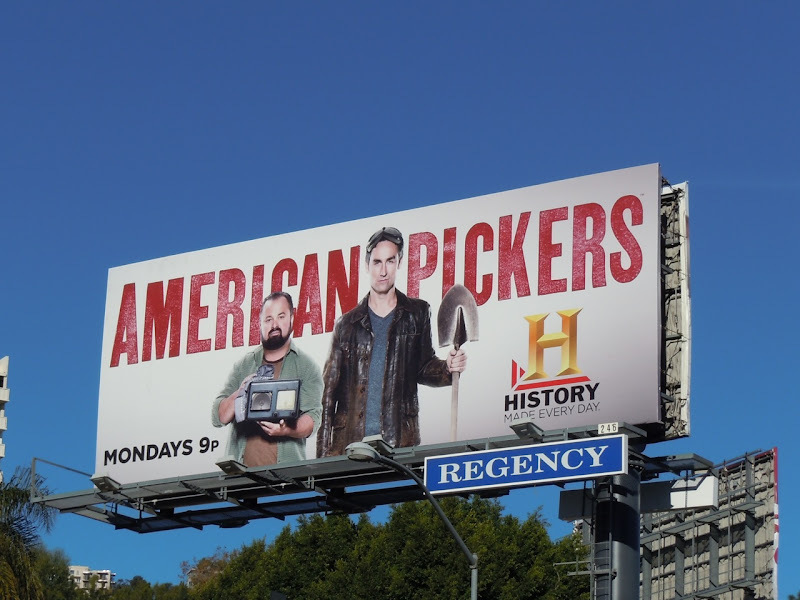 This billboard for The History Channel's American Pickers evokes Grant Wood's iconic American Gothic painting, where the man's pitchfork symbolized hard labour. These pickers (Frank Fritz and Mike Wolfe), don't work the land, but instead comb through junk across America to discover hidden antiques and treasures. 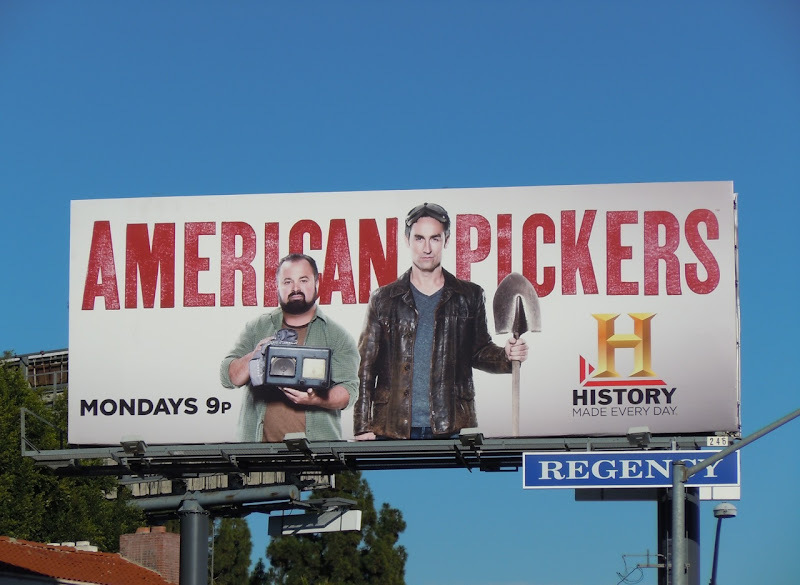 This fun TV billboard was snapped along L.A.'s Sunset Strip on December 1, 2010.